In order to look at the state of an ecosystem or region, it is important to view and address the historical backdrop which resulted in its present condition. Many areas of the world have been stripped of floral and faunal life during the Pleistocene epoch, a trend which may continue unless proactive action is taken. Wales, like many areas of North-Western Europe, has seen extensive landscape alteration and its native wildlife and woodlands have been significantly reduced from their historical maxima. This article sets out the historical context for ‘rewilding’ Wales, by looking at the history of biodiversity and conservation in the area, and making reference to the forest governance structures, national and international legislation, and other directives which effectively call for the expansion of native woodland and the reintroduction of missing species. The country of Wales is located on the south west of Great Britain’s mainland, bordered by the Irish Sea and Bristol Channel. The country is between 53° 43’N and 51° 38’N in latitude and possesses temperate climactic attributes: the mean annual temperature ranges from 5.5°C to 12.3°C, with annual precipitation of 1433.5mm. A large range of local variation of these values may be due to topographic factors, including the Cambrian Mountains which dominate the landscape and thereby create altitude gradients and rain-shadow effects, among other impacts. Within these climactic parameters in North Western Europe, the expected forest composition should tend towards temperate rainforest – namely assemblages such as Western Oakwood (also known as Upland Oakwood or Atlantic Oakwood). However, it is important to address two key factors in order to understand the current composition of Welsh forests: post-glacial vegetational succession and the effects of human interaction on the landscape. The Devensian glaciation which represented the local ice sheet coverage associated with the last glacial maximum of the Pleistocene, 110,000 to 12,000 years ago, extensively covered the Welsh landmass leaving only small pockets of land without ice coverage. In the post glacial Holocene epoch, a pattern of vegetational succession occurred in tandem with ice retreat, as species migrated across the Doggerland land bridge connecting Great Britain to mainland Europe. Palynological evidence from peat cores shows that the initial colonization of newly exposed land took place by pioneer species such as juniper (Juniperus communis) and pine (Pinus sylvestris), leading on to extensive woodlands including species such as alder (Alnus glutinosa), willow (several species of Salix), birch (Betula pendula and Betula pubescens), rowan (Sorbus aucuparia), lime (Tilia cordata), holly (Ilex aquifolium), hazel (Corylus avellana), yew (Taxus baccata), beech (Fagus sylvatica) and oak (Quercus robur and Quercus petraea). 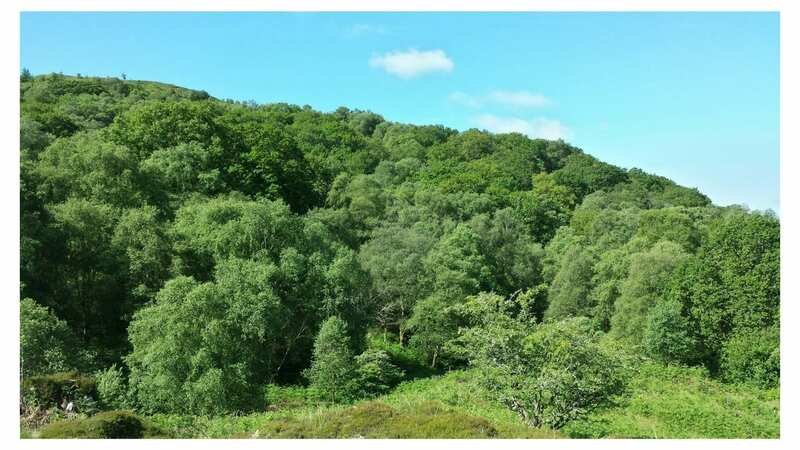 Upland Oak Woodland: dominated by sessile oak (Quercus petraea) and local pedunculate oak (Quercus robur), typically supporting other trees such as alder, ash, birch, hazel, holly, and rowan, with more than 500 species of plants and animals associated with this habitat. Upland Mixed Ash Woodland: dominated locally by ash (Fraxinus excelsior) although birch, elm, hazel, oak and lime may occur in large numbers. Yew and alder may also be found. Lowland Mixed Deciduous: composition can be varied, though this woodland can be dominated by both oak species, with ash, field maple, lime, hornbeam and wych elm. Occasionally English elm, birch and alder can occur. Lowland Beech and Yew Woodland: primarily composed of beech (Fagus sylvatica) and yew (Taxus baccata) in which holly can form an understory. Wet Woodland: dominated by alder, birch and willow, with ash, beech and oak found occasionally. Rare native tree species which can be found include Ley’s whitebeam (Sorbus leyana), round-leaved whitebeam (Sorbus eminens), grey-leaved whitebeam (Sorbus porrigentiformis) and black poplar (Populus nigra betulifolia). The earliest evidence of human inhabitation of Wales is from a partial human skeleton found in Paviland in 1823. A 2008 study in which mass spectrometric analysis was used dated the remains to 29,000 years BP (before present), indicating a history of human settlement prior to glacial retreat (Jacobi & Higham, 2008). During the early Holocene, Mesolithic peoples from central Europe were able to migrate to Britain across the Doggerland land bridge, followed by Neolithic people in the mid-Holocene (6,000BP) who changed the indigenous lifestyle from hunter-gathering to settled farming. In doing so, large scale clearances of native forest occurred and have continued up to the recent past. These clearances led to rapid ecological changes, as the burning of native woodland often lead to impermeable charcoal layers which became waterlogged, resulting in Sphagnum moss development (Keddy, 2010). As Sphagnum growth and coverage expands, many formerly wooded areas became oligotrophic blanket bog of the type seen extensively in montane areas of Great Britain and Ireland today. In other areas, nutrient leached podzol soils formed when forest coverage was removed. By the Bronze Age (2,500BP) approximately half of Britain had been stripped of its trees and all present peatlands had been instigated (Evans, 2002). As woodland covers just 14% of the current land surface in Wales (in comparison to a European average of marginally over 37%), and as of 1998, only 38% of all woodland was comprised of native species (Welsh Assembly Government, 2013), it is essential to examine the historical forest assemblages of the country in order to determine the current status of forest biodiversity, thereby avoiding “shifting baseline syndrome” as identified by Daniel Pauly (1995), whereby the health or other attributes of an ecosystem are measured against an already depleted state. The Ancient Woodland Inventory, which was instigated by the Nature Conservancy Council in the 1980s to identify woodlands which have had continuous cover for centuries, used a baseline date of the 1830s for its Welsh study, as this was when the 1st edition OS 1” map was first published (Forestry Commission, 2011). While this inventory was considered to be provisional and has been refined and subsequently digitized, it is not reflective of the full extent of forest coverage which existed prior to agricultural clearance. In tandem with the reduction of natural forestry in Wales, there has been a significant reduction in the number of faunal species, with the total local extinction of apex carnivores such as the Eurasian lynx (Lynx lynx), European brown bear (Ursus arctos), wolverine (Gulo gulo) and the grey wolf (Canis lupis) along with other keystone species such as the Eurasian beaver (Castor fiber) and the wild boar (Sus scrofa). While it is safe to assume that forest clearance leads to a reduction of faunal species by way of destroying habitats, it is important to consider a reciprocal balance in that relationship. Contemporary ecological theory is beginning to incorporate the concept of trophic cascades (see the numerous examples in Terborgh & Estes, 2010), whereby apex predators regulate the food-webs which constitute specific ecosystems. The removal of the top predators in Wales may have led to an irruption of herbivores which further contributed to the decline in native forests by overbrowsing, thereby preventing the growth of saplings into canopy trees, and resulting in a significant loss in arboreal biomass. Similarly, the loss of large herbivores such as the moose (Alces alces) and aurochs (Bos primigenius) may have played a role in seed dispersal similar to the endozoochory outlined by Mouissie et al (2005). In addition to the loss or reduction of native forest species (floral and faunal), Welsh forests are dominated by non-native trees (such as spruce, which makes up 37% of all woodland), often in mono-cultural plantations (Welsh Assembly Government, 2013). Herbivores introduced for agricultural or hunting purposes, such as sheep (Ovis aries), goats (Capra aegagrus hircus) or fallow deer (Dama dama) can compound the effects of irruptive overbrowsing which further prevents expansion of natural woodland species. An additional challenge to current biodiversity of woodland is the presence of invasive species, both floral and faunal. Plants such as Rhododendron ponticum, Japanese knotweed (Fallopia japonica), water fern (Azolla filiculoides), giant hogweed (Heradeum mantegazzium) and Himalayan balsam (Impatiens glandulifera) can aggressively compete with native woodland species through prolific seed dispersal or the generation of new shoots from root networks. The grey squirrel (Sciurus carolinensis), is an introduced species which frequently outcompetes and displaces the native red squirrel (Sciurus vulgaris), while often stripping the bark from native trees, which can cause fungal invasions and/or tree death. As a result of the above processes and historical context, it can be understood that the current biodiversity of Wales is significantly diminished from the maximal arboreal biomass which was present between the glacial retreat and Neolithic farm development 6,000BP. Of the total extant woodland, 15% is oak, 7% ash, 4% birch, 3% beech and 9% other native broadleaves. Visual analysis of the 2011 Ancient Woodland Inventory hosted by the Forestry Commission shows that many such habitats are fragmented and widely dispersed. Trees which require zoochory for seed dispersal may require higher levels of connectivity (e.g. wildlife corridors) in order for natural processes of expansion and colonization to take place, as opposed to species which utilize anemochory (wind dispersal). Research (e.g. Latham et al, 2004) has highlighted the importance of forest habitat networks and wildlife corridors in the offsetting of habitat fragmentation and as a contingency against climate change impacts. The current status of Welsh forestry (commercial mono-cultures and fragmented native woodland) exacerbates the risks which are posed by climate change, as the available evidence strongly supports the conclusion that the capacity of forests to resist change, or recover following disturbance, is dependent on biodiversity at multiple scales (Secretariat of the Convention on Biological Diversity, 2009). Specific studies (e.g. Carina & Keskitalo, 2011) have recommended diversification in Welsh forest management in order to improve resilience in the face of climate change. The history of forest conservation in Wales is inextricably bound to the broader conservation history of Great Britain, and as such is part of a complex story involving multiple parties, ranging from the monarchy and government to individuals and industry. David Evans (2002) notes that the history of the conservation movement demonstrates that has it always been fragmented and parochial. Early English texts, such as the Boke of Husbandry written by Anthony Fitzherbert and published in 1523/34 contains a chapter on how to “remove and set trees”, which details instructions for replanting native trees such as elm, ash and oak. While the text was chiefly aimed at farmers who were cultivating trees for timber, it is one of the earliest published English language works which gives instruction on proactively planting native arboreal species. John Evelyn’s text Sylva, published in 1664, outlined the fundamental conservation principle of replenishing forests by planting trees, and was directed chiefly at landowners, while simultaneously dismissing the “ignorant hinds and servants” who directly worked the land. b) protecting, restoring and re-creating habitats. … thereby importing the idea of a National Park, the concept of which had been established by the creation of Yellowstone National Park in the United States in 1872. In 1949, the National Parks and Access to the Countryside Act was passed, forming the National Parks Commission, and leading to the creation of Snowdonia National Park in 1951, Pembrokeshire Coast National Park in 1952, and Brecon Beacons National Park in 1957. It is worth noting that none of these parks meets the definition of a National Park (Protected Areas Category II) under the International Union for Conservation of Nature (IUCN) guidelines, as extensive agricultural activities (such as sheep farming) take place in each, and the land is not owned by the government. 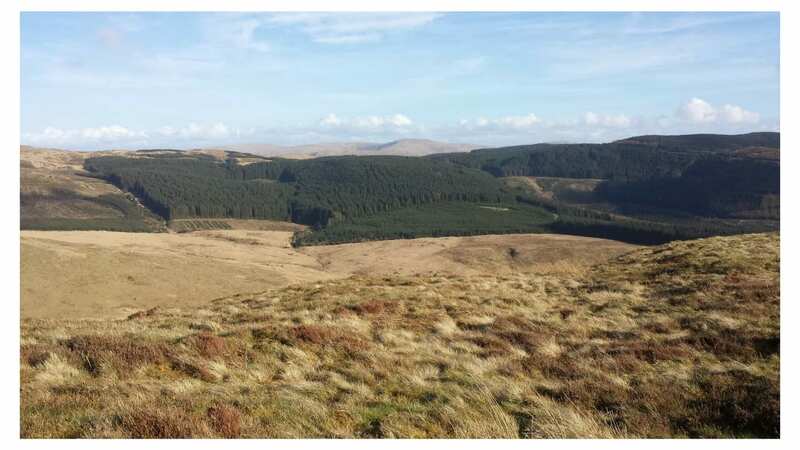 One contemporary organization looking at proactively reforesting/rewilding extensively in Wales is the Cambrian Wildwood project, established by the Wales Wild Land Foundation. In addition to creating an extensive and interlinked woodland plantation, this project also aims to improve faunal diversity through natural colonization or reintroduction programs based on feasibility research. Some proposed species include the water vole (Arvicola terrestris), mountain hare (Lepus timidus subsp. Scoticus), wild boar (Sus scrofa), beaver (Castor fiber), pine marten (Martes martes), red squirrel (Sciurus vulgaris) and wild cat (Felis silvestris) (Wild Wales Land Foundation, 2013). Forests and woodland in Wales are currently under the remit of Natural Resources Wales, a Welsh Government Sponsored Body formed in 2013, taking over the functions of the Countryside Council for Wales, Forestry Commission Wales and the Environment Agency in Wales (Natural Resources Wales, 2014). As part of its duties, it regulates the forestry industry and is responsible for the designation of Sites of Special Scientific Interest, National Parks, and the declaration of National Nature Reserves. Natural Resources Wales was set up under The Woodlands for Wales Action plan and sets out a means of progression for the Welsh Government’s 50 year strategy for trees and woodlands. This plan was first published in 2001 and re-launched in 2009 (a further update was published in 2012); the revisions have updated the scheme to incorporate adaption to and mitigation of climate change (through carbon sequestration). The Action Plan emphasizes the importance of favorable management of woodland and trees of special conservation value, and support of native woodland biodiversity. A progress report is due to be published in 2015. 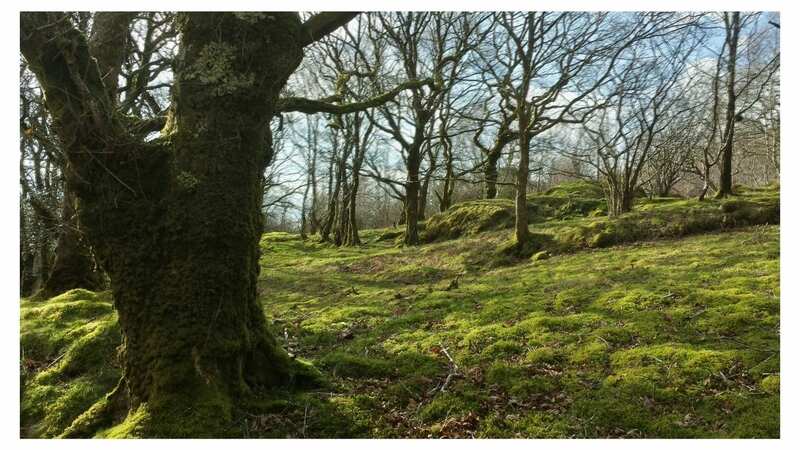 The Better Woodlands for Wales Grant Scheme was one scheme set up under the Action plan – a 2012 study showed that it had a small but measurable impact on carbon sequestration and biodiversity (Ambrose-Oji et al). Other schemes for woodland creation include the Glastir Woodland Creation scheme and the Plant! Initiative though which 147,034 trees had been planted (as of March 2012). Other key aspects of the Action plan involve the expansion of urban forestry, life-long learning benefits of woodlands (including play-based projects for children), and sustainable employment opportunities. International policy drivers behind forestry include the United Nations Forum on Forests (UNFF), the European Union (EU), the Ministerial Conference on the Protection of Forests in Europe (MCPFE2 now known as FOREST EUROPE), the Convention on Biological Diversity (CBD) and the Framework Convention on Climate Change. Under the EU Water Framework Directive, River Basin Management Plans are required for every river basin in the EU with three defined for Wales: the Severn, the Dee and Western Wales. This directive impacts on forest management and governance due to the levels of woodland cover in these areas (Welsh Assembly Government, 2013). Within the UK, the Wildlife and Countryside Act (last amended in 1991) established legislative protection for Sites of Special Scientific Interest. The Natural Environment and Rural Communities Act (2006) confirms a legal minimum for species and habitats in Wales and requires structured biodiversity as part of policy in local and public authorities. The 2010 UK Indicators of Sustainable Forestry sets out the importance of ancient woodland, native woodland, and floral and faunal abundance as biodiversity indicators, and re-emphasizes the need for ‘naturalness’ in woodlands, while the 2004 UK Forestry Standard and Guidelines calls for the steady expansion of tree coverage and maintaining and restoring ecological diversity. The cumulative focus of national, UK and EU policy is focused on the expansion and protection of native woodlands for a suite of reasons, from climate change resilience and carbon sequestration, to enriched biodiversity and access to nature. In order to incorporate the enhancement of whole ecosystems (thereby meeting many of the stated policy aims) activists such as journalist George Monbiot are campaigning for the reintroduction of lost faunal species to Great Britain. In tandem with improved arboreal diversity, there is a growing body of research and interest in re-establishing carnivores such as the Eurasian Lynx, which may help to restore the trophic cascades which help highly biodiverse ecosystems self-regulate (Monbiot, 2013). These reintroductions are concepts at the heart of the Large Carnivore Initiative for Europe which seeks to restore viable populations of such animals in accordance with international treaties such as the Bern Convention, the Rio Convention and the EU Habitats Directive (Wildwood Trust, 2006). My thanks to Simon Ayres, Vincent Jamison, Nicole Huard, Simone Doran and Shay Brennan for their comments, suggestions and editorial pointers. Any remaining mistakes, errors or omissions are my sole responsibility. D. Evans, 1997, A History of Nature Conservation in Britain, Routledge, London, 2nd ed.